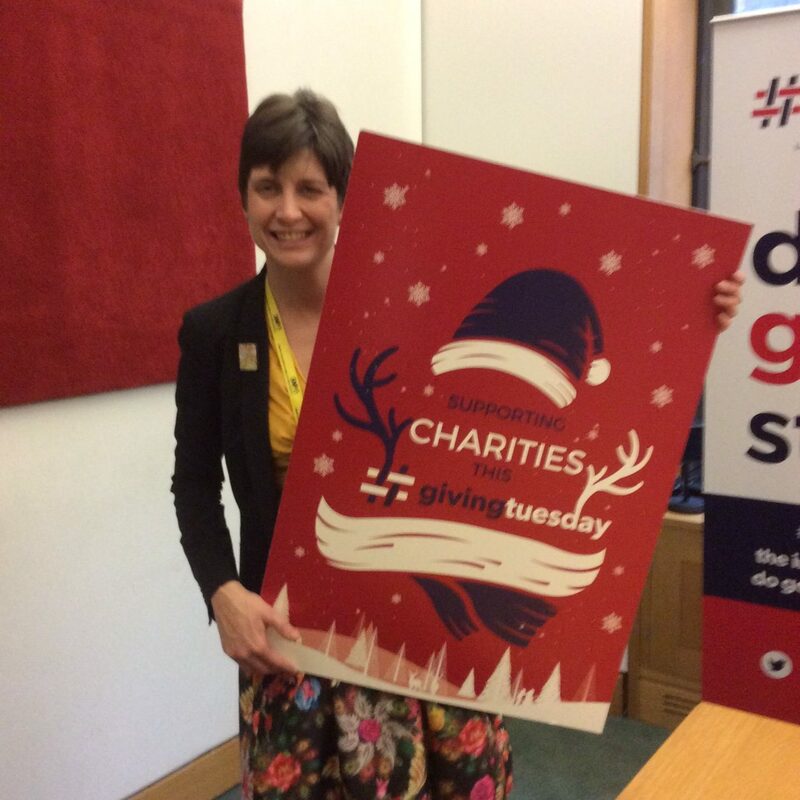 The global day of giving known as #givingtuesday took place on 29 November and Alison Thewliss MP was at Parliament to celebrate local charities Glasgow City Mission, Glasgow Council on Alcohol, Glasgow Women’s Aid, Lifelink, Scottish Families Affected by Alcohol & Drugs and SiMY Community Development, who are all backing the campaign. This is the third year #givingtuesday has taken place in the UK, a campaign which encourages people to ‘do good stuff’ for charity. Over 1,500 charities and businesses have signed up as partners in the campaign including Cancer Research UK, Morrisons, Sue Ryder, Sainsbury’s, the RSPCA and the Financial Times. In 2015 #givingtuesday broke a Guinness World Record for the most online donations in 24 hours as people gave £35 million to good causes globally. Online donations raised £6,000 a minute for UK charities. The event was the top trend on Twitter throughout the day with more than 100,000 mentions using the hashtag. Celebrities and politicians including Stephen Fry, JK Rowling, Gary Lineker and Tom Daley backed the campaign. #Givingtuesday now runs in over 70 countries including the US, Canada, Germany, Spain, Singapore, Australia, Tanzania, Russia and Ireland. It is led in the UK by the Charities Aid Foundation, one of Europe’s largest charitable foundations which supports charities in managing their money and helps people and businesses give to good causes. The theme for 2016 is simply to ‘do good stuff’. 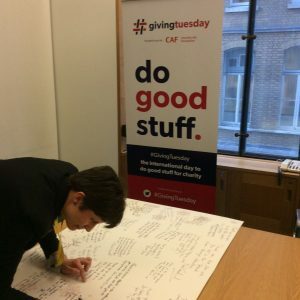 Charities, businesses and individuals can sign up to be part of the event at www.givingtuesday.org.uk or connect via Facebook and Twitter.